diary of a crazy person: Freezer Meals! 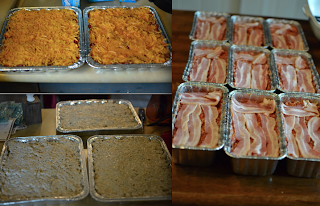 Today I finished my last task that I really wanted to do before the baby comes, make freezer meals. 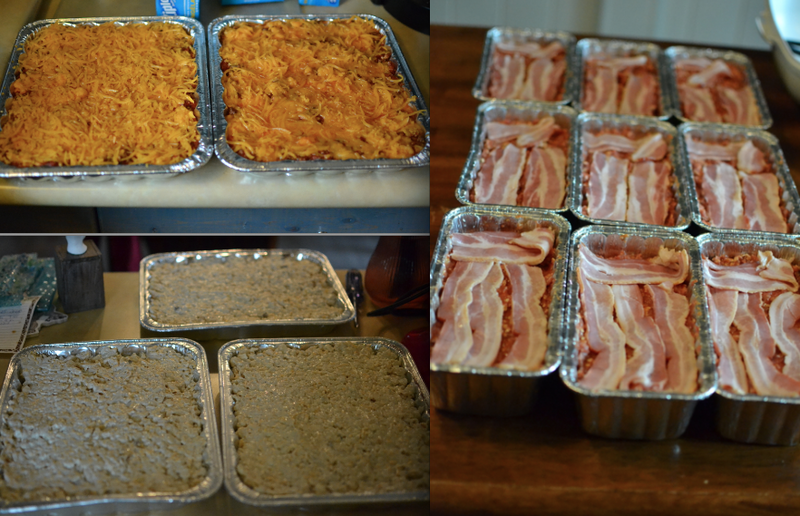 I made two lasagnes, 3 hash brown casseroles, 9 meat loafs, 3 bags of honey mustard marinated chicken breasts, 10 4-cup bags of cooked rice, 4 dozen bran muffins, 3 dozen oatmeal chocolate chip cookies, and 1.5 kg of shredded cheese. It feels great to have this all done. I might make a few more things if I get bored, but I am glad I have a good start. Oh, and I forgot to mention I have a brand new upright freezer to store all this stuff in. It is wonderful!